We simply love it when people share their merchandise in action on social media. Wild Thang think this is a great example of how branded corporate promotional clothing and some branded promotional poles can create great brand exposure helping them stand out from the crowd with that all important coordinated physical branding approach. 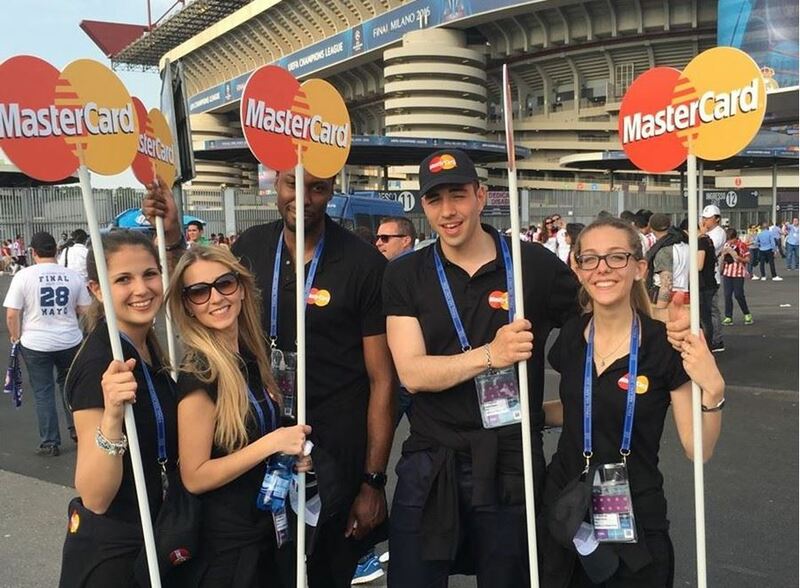 If Master Card see the value as one of the most recognisable brands in the world using embroidered polo shirts and caps then maybe it’s time to take note & take every opportunity to expose your brand to an audience. Research shows that branded clothing is one of the most used forms of merchandise incentives & the reason for that is it simply works. Never underestimate the power of the photograph to capture the moment of any campaign & deliver real impact, think PR exposure, think the endless social media sharing on Instagram, twitter, Facebook & Snapchat. We have full research available on request that shows that branded clothing, merchandise & print can give you equal or a better return than any other form of advertising media. We hope that this gives you a little inspiration & please remember we are here to help with expert branded clothing, merchandise and print advice! Why not have a look at our branded clothing service section so you can see the complete options.